Are you in need of IRS tax help? Rather than letting the problem go and accruing more interest, fees, and penalties, talk to Mike Habib at our boutique tax representation firm. No matter the nature of your issue, IRS tax lien, IRS tax levy, wage garnishment, 941 payroll problem, or IRS audit - help for Houstonians is possible. 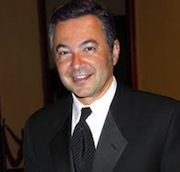 Mike Habib is an IRS licensed Enrolled Agent and a tax resolution expert who offers his outstanding representation services in Houston, Texas allowing you or your business to seek effective tax resolution and get reliable help. Call us now at 1-877-788-2937. 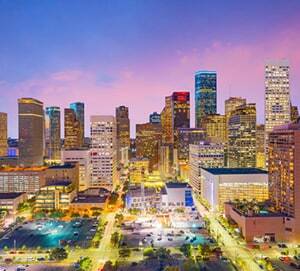 One of the most populated cities in the United States, Houston features a humid subtropical climate and an economy centered on international trade, technology, education, entertainment, medicine, sports, and more. A global city, Houston offers a number of cultural institutions and landmarks to enjoy and explore. It includes a popular Museum District, Theater District, and 337 parks among other attractions. Regardless of your tax issue, we can help you achieve the results you want. Whether dealing with problems stemming from back taxes, IRS audits, unfiled tax returns, wage garnishment, or bank levies, or another tax issue, talk to us and take that first crucial step. Our tax representation firm offers effective and efficient IRS tax help Call 1-877-78-TAXES [1-877-788-2937] for reliable tax help. Why Tax Relief and Tax Help? Tax problems don’t go away. They only worsen due to penalties, interest, and fines among many other problems. Don’t let the issue fester--deal with it proactively and effectively by seeking IRS tax help by calling us 1-877-78-TAXES [1-877-788-2937]. Owing money to the IRS is very stressful! Obtain the assistance you need by working with the experienced and knowledgeable tax representation firm of Mike Habib. For more on IRS tax help in Houston, contact us today. Mike Habib is an IRS licensed Enrolled Agent, and his boutique tax representation firm is “A rated” by the BBB Better Business Bureau. His firm is also endorsed as an ELP endorsed local provided by Dave Ramsey, a well known public figure, is known for his personal money-management expertise and is an extremely popular national radio personality.